The parent club of the Leonberger breed. An online resource that "provides interactive home-study courses along with hands-on seminars that were developed for the continuing education and enrichment of anyone with the desire to learn more about the breed." "The Leonberger Health Foundation was formed with the vision to improve the quality of life, health and longevity in our Leonberger companions. It's mission is to raise money to fund canine research that will improve the health of the Leonberger dog through increased knowledge and understanding of canine diseases." Regional club for the Leonberger breed. Serving Arkansas, Colorado, Kansas, Louisiana, New Mexico, Oklahoma and Texas. Great articles, videos, and courses on canine genetics. Pedigree database for the Leonberger dog. A beautiful tribute to our breed written by Caroline Bliss-Isberg. 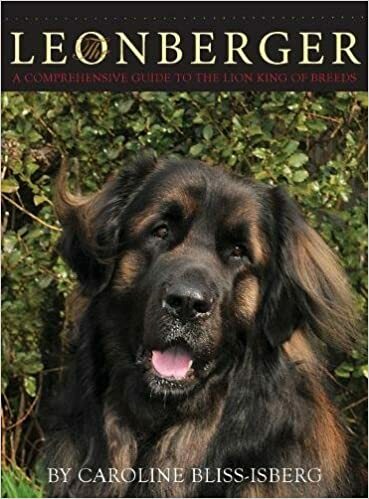 It is full of stunning color photos, history written as a beloved story, and the passion of someone who loves the Leonberger deeply is felt in every word. The book was awarded the 2017 Best Book: Single, Related, or All-Breed category by the Dog Writers Association of America! Caroline graciously donates a portion of her book sales to the Leonberger Health Foundation. The book is available for purchase on Amazon and, in fact, you could doubly support the LHF by purchasing through Amazon Smile.